Week one of VeganMoFo 2016 is over! Hasn’t that gone quickly? We’ve seen some wonderful food this week and the rest of the month promises to be just as great. The first weekly theme, for those who are following along, was Treat yourself (and others) and it’s certainly been a treat reading everyone’s posts this week. 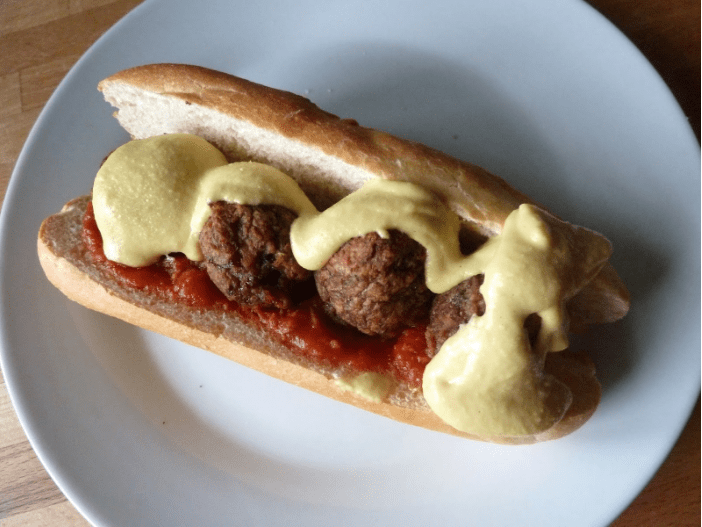 Below is a selection of our favourite posts from this first week of VeganMoFo 2016. Make sure you’re following us on social media to see the posts we share and promote on a daily basis too. Remember you can check out the weekly themes or daily prompts here – although you’re welcome to follow your own theme too! This week’s theme is International Week and we’re fascinated to see all the food from around the world. We’ll be back with a round up at thesame time next week! Day 1: What’s your favourite food? 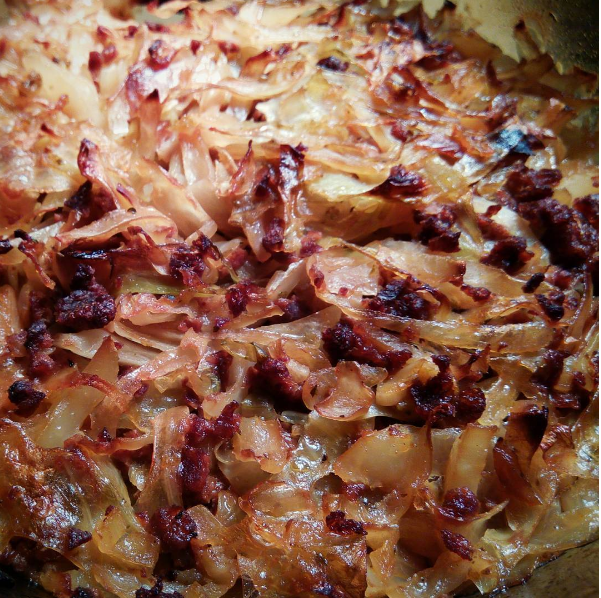 Finnish contributor Heini shared this cabbage casserole, which is just perfect for the cold weather some of us are experiencing now. If you’ve never tried Finnish cuisine, please note that it’s traditionally served with lingonberry jam. 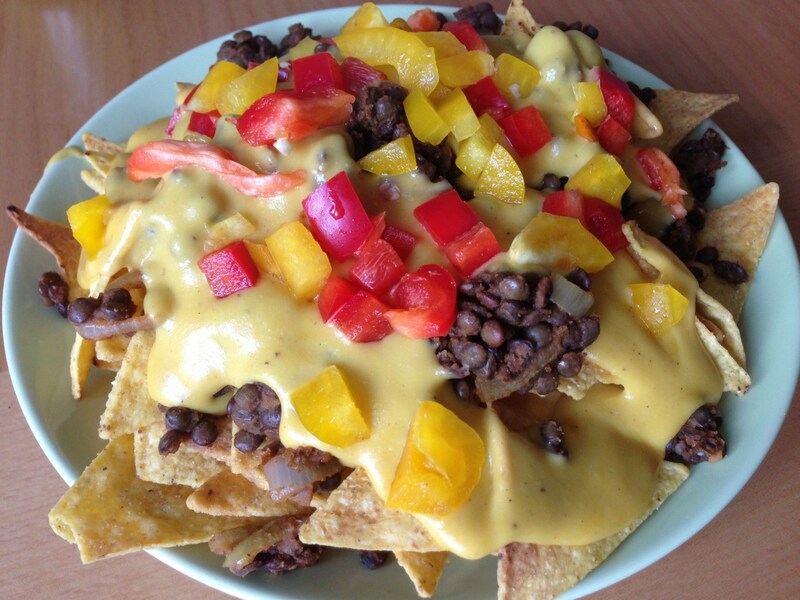 There were a lot of nachos to drool over at Vegan Nom Noms. Have you heard of magical potato carrot cheese? If not, get yourself over there, stat! Just look how good these are. Unsurprisingly, mac and cheese is a big hit in the vegan community and popped up quite a bit on day one. 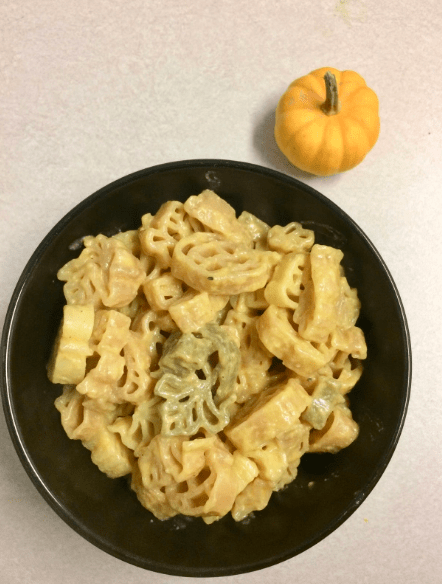 Shout out to OBH who gave it a fun autumnal twist with her cute pasta shapes. Day 2: What’s your go-go ‘impress me’ meal? Shaheen over at A2K likes to get back to her roots with a sensational Welsh menu when she’s out to impress. 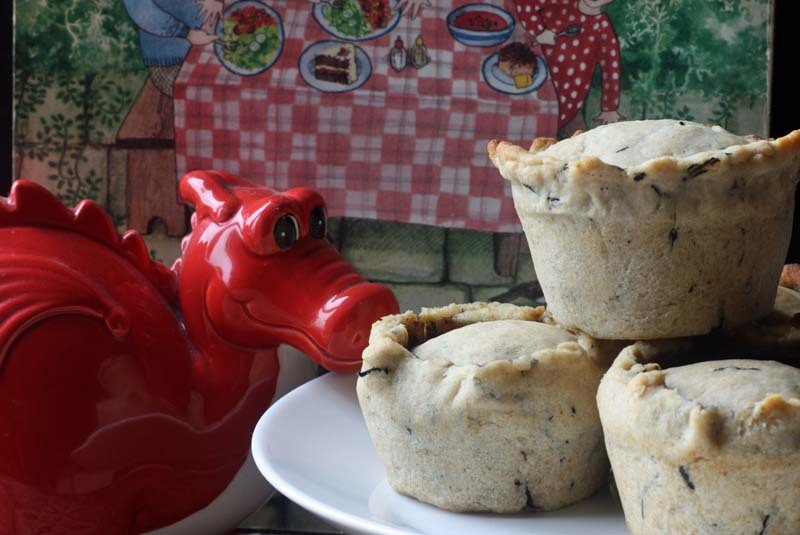 She’s got laverbread, puddings, pies, and even a big tower of Welshcakes all ready to wow her dinner guests – not to mention some ferocious Welsh dragons! 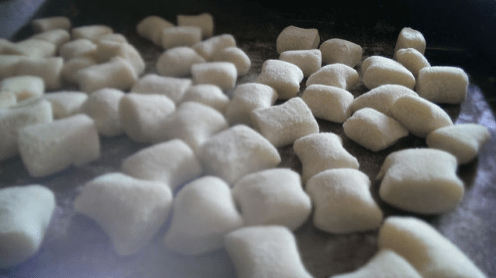 Homemade gnocchi is always going to impress us. Over at VNS, this is just a regular weeknight meal – that’s perhaps the most impressive thing of all! Day 3: What’s your easy cook meal? On her youtube channel, Dalia treated to this quick, easy and healthy lemongrass basil tofu stir-fry. Stir fries were very popular on this day, unsurprisingly! 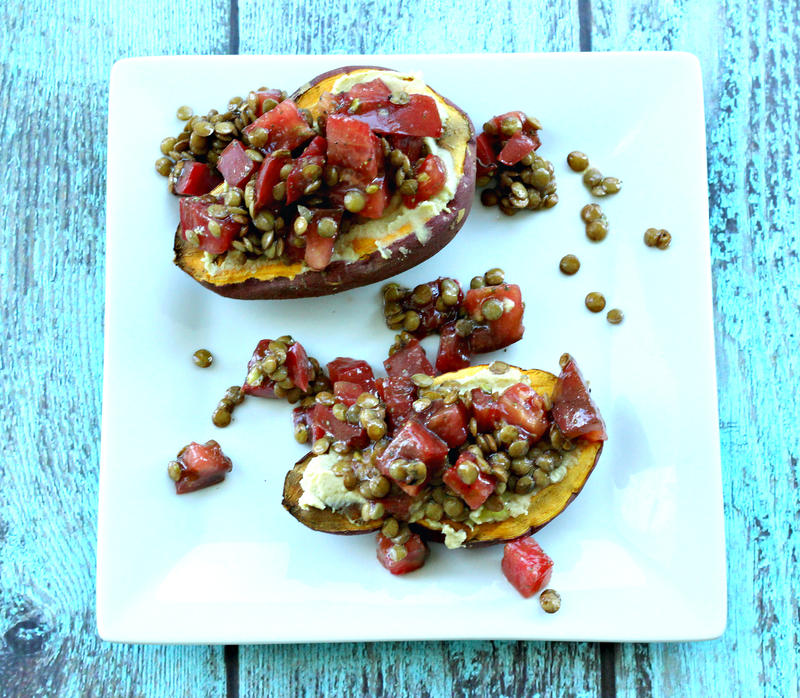 We can always count on Kimmy for something healthy and delicious, and here is a quick and easy lentil bruschetta…but using baked sweet potatoes instead of toasty bread! What a great twist! An easy breakfast is essential for those of us who struggle to get going in the morning. 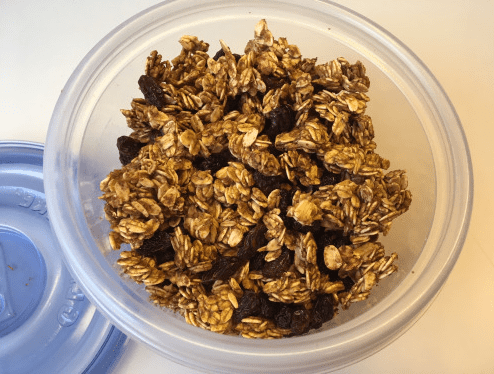 Here’s a tasty bowl of granola from The Divine Ms. K. Why not try her seasonal tip and use some pumpkin puree instead of peanut butter in your next batch? Day 4: Where do you eat when you want someone else to cook for you? 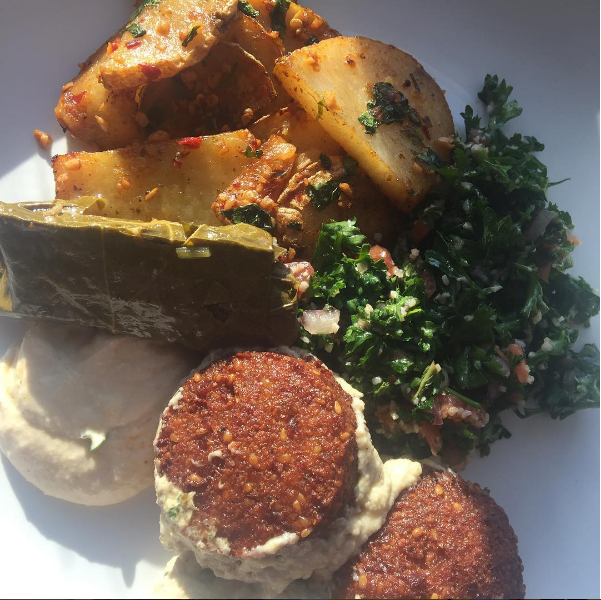 Every vegan probably suffers from falafel fatigue at some point, but this is enough to restore anyone’s faith in that vegan staple! Betsy shows us all how it’s done by getting this Middle Eastern feast delivered and enjoying it at home in her PJs. Jen at LTD is one of our busiest MoFo participants: she’s participating on youtube, Facebook and on her blog, all while running a B&B! She enjoys the raw vegan special at Food For Thought. Anyone for lasagna roll-ups? 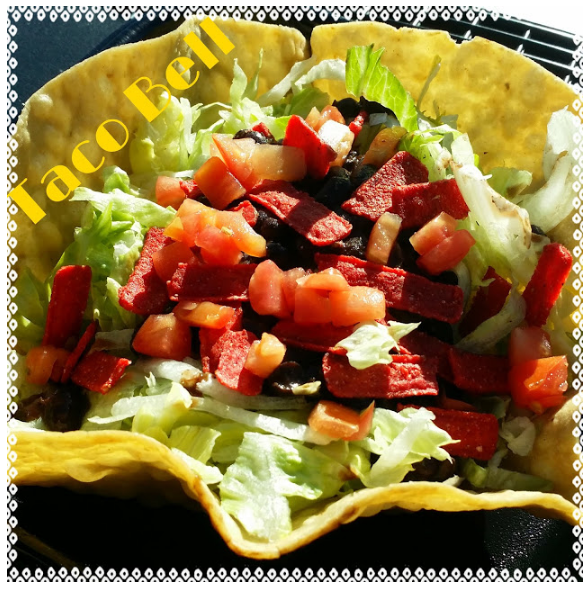 North American MoFo’ers may be familiar with the ‘How to order Vegan’ advice from Taco Bell, but if not, Vegan Knyquol has you covered. This looks quick, convenient and tasty! Day 5: Tell us what you’re midnight-snacking on! 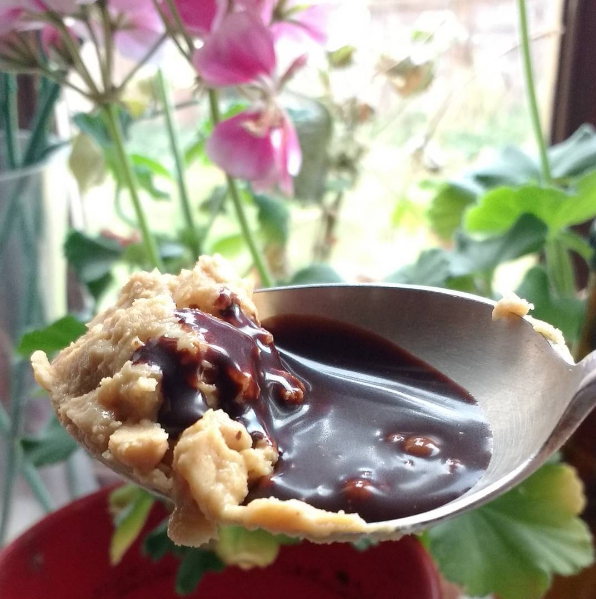 Over on Instagram, Loz introduced us to this brilliant idea: a spoonful of peanut butter and a healthy (?) dose of Choc Shot. As she says, you don’t need to limit this to midnight snacking! Joey at FtVs is balancing her MoFo duties with student life, so her recipes this month all have a student-friendly, quick and easy theme. That doesn’t make them any less impressive though, as demonstrated by this sandwich to fuel her late night cramming sessions. Here’s an indulgent late night snack from Garrick on Instagram. We truly live in a magical time with so many vegan ice cream options. 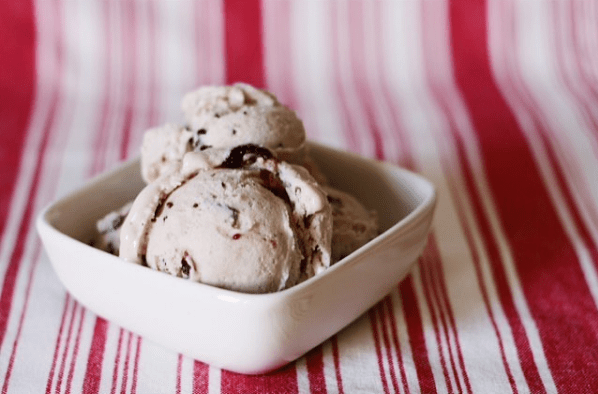 Anyone for cherry choc chip? 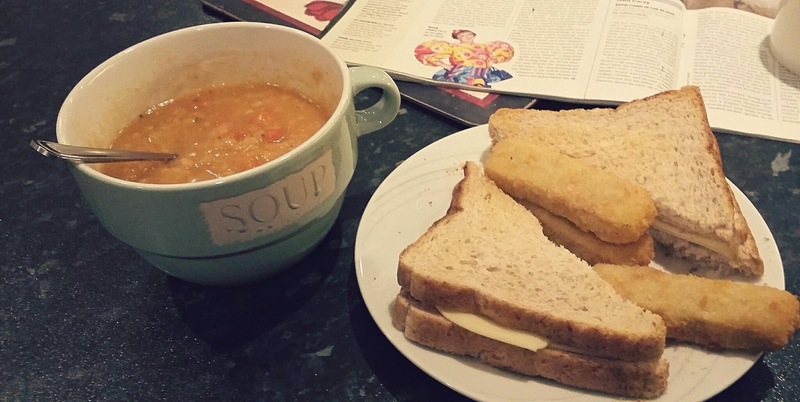 Blueberry Blossoms knows that convenience is key, so she’s relying on some good supermarket finds to feed her: a tin of soup, a packet of veggie fingers and a toastie filled with smoky cheese. Quick, easy and comforting! Carbs are always comforting. 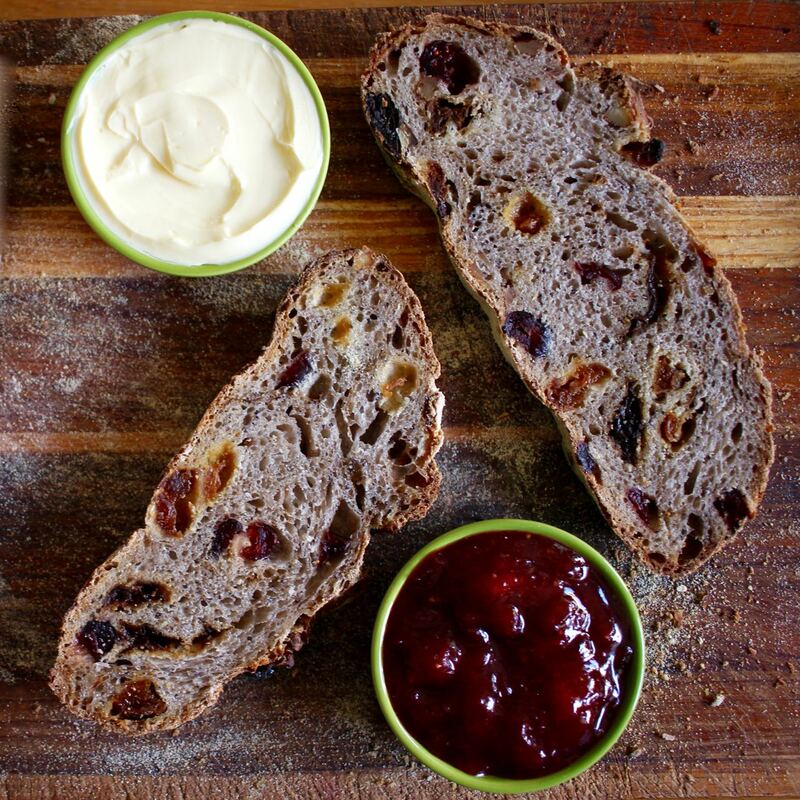 Johanna from GGG showcases her homemade sourdough fruit bread with poppy seeds. Imagine a slice of this slathered with chocolate and macadamia spread! 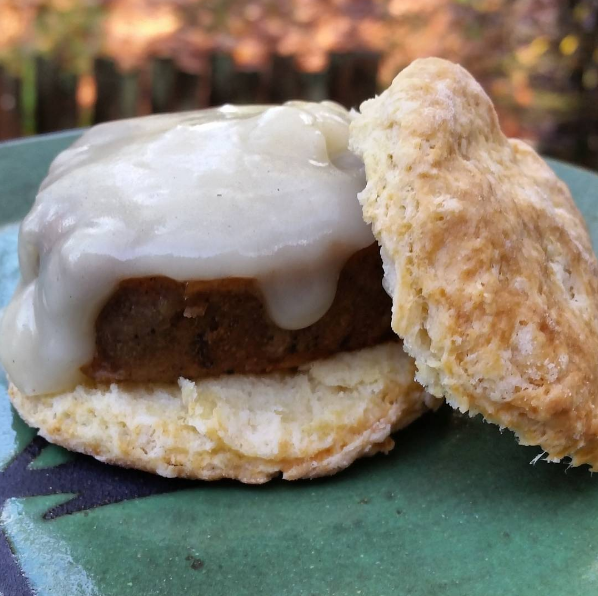 Sarra found a way to elevate the good old comforting sandwich with these sausage, biscuit and gravy sandwiches. Good Texan style comfort food! Wow what a fantastic Round up of Vegan Mofo contributions for the first week. I am humbled to be amongst them, so much vegan goodness and so much innovation, i am off to check out some of the other fellow Vegan Mofo contributors. Aww thanks for including me! 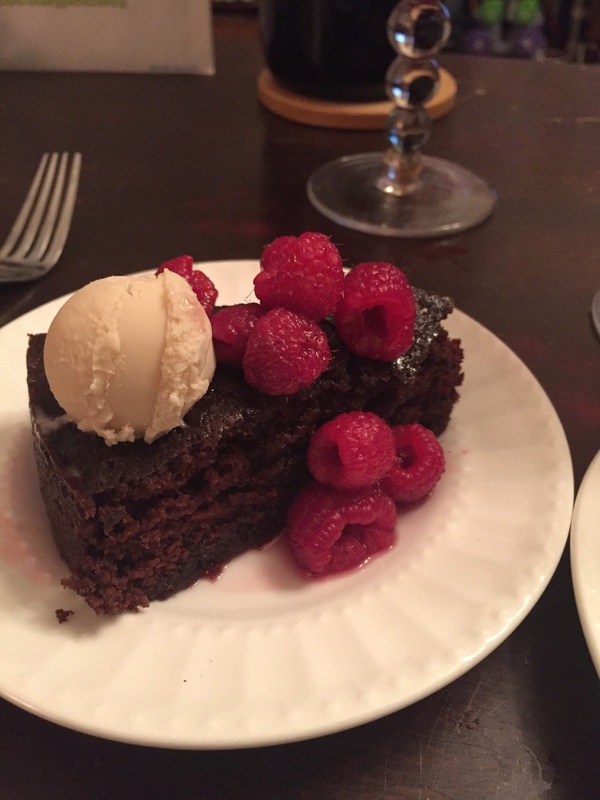 Lots of other recipes to try here too, great round-up! Thanks for a might tasty and tempting round up – and thanks for including me in the selection – am going to have to go visiting through it is midnight so I might just be tempted by a few of those midnights snacks if I were not so tired 🙂 Will save the visits for a more sociable hour! Yay! Thanks for the great round up. I’d somehow missed Vegan Nom Nom’s cheese post! I’m loving The Offbeat Herbivore’s pasta shapes too – so cute! Awesome round up! I’m totally eyeing up those nachos with the potato carrot cheese! And that “meatball” sammich. Yum!